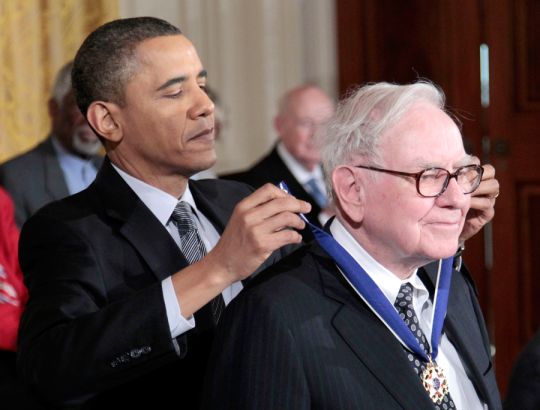 Warren Buffett, Obama donor and namesake of the infamous "Buffett Rule," invested $5 billion in Bank of America last year in an effort to help the ailing financial institution. Last month, two weeks after OFA took out the loan, Bank of America announced a plan that would lay off 16,000 workers by the end of the year. Obama has a complicated relationship with Bank of America. The bank contributed $20 million toward the cost of the Democrat National Convention earlier this year. Bank of America stadium, home to the Carolina Panthers, was supposed to host Obama’s acceptance speech. At the last moment, the campaign switched to a significantly smaller venue. The campaign claimed that an impending storm would not allow the President to deliver his address. Many questioned whether move was made because the campaign was having trouble filling such a large stadium. This entry was posted in Politics and tagged Barack Obama, Financial Industry, Loan, Obama Campaign, Warren Buffett. Bookmark the permalink.